Picking a perfect mattress for your specific needs and preferences isn’t so simple. There are many many different features, types, and materials available that it may be hard to realize what would best work for you. Memory foam and latex mattresses both have made a reputation as being the best in the market, but which would be the best for you? 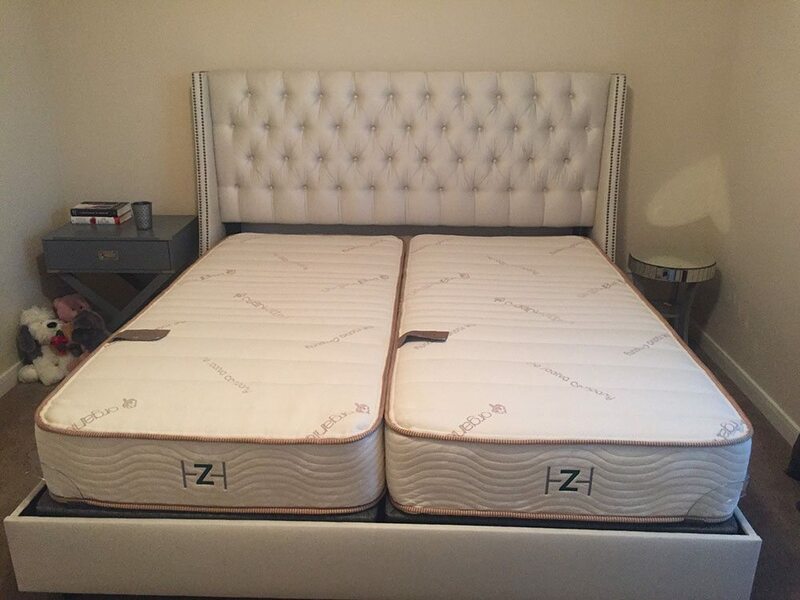 In today’s review, we’ll be comparing Zenhaven, a 100% all natural latex mattress with the Tempur-Pedic Cloud Luxe Breeze coming from Tempur-Pedic’s line of memory foam mattresses. Both have their specific characteristics and benefits that set them apart from many other similar mattress brands available online. The new Tempur Pedic Cloud Luxe Breeze soft model is quite soft when compared to other models and the Zenhaven mattress. The PureCool+ Phase Change layer and TEMPUR-CM+ layer of this mattress place it around a 4-5 on a 10-point scale (10 being the firmest). So, when you lay on the mattress, you sink into it quite a bit, especially if you are a heavier sleeper like Andrew (230lbs). However, sinkage with the new Cloud Luxe Breeze is a little pronounced, because it is Tempur Pedic’s softest model, and when Andrew sat down on it, it compressed quite a bit but did not cause him to sink down to the foundation. Below is our comprehensive side-by-side comparison of the Zenhaven vs. Tempur-Pedic Cloud Luxe Breeze mattress.